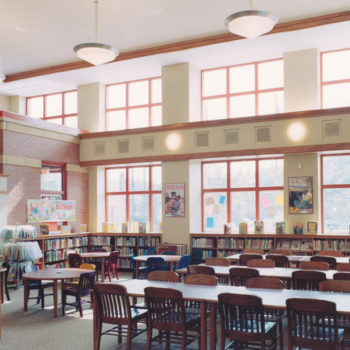 Novak Construction has worked on 3 Chicago Public Library projects in Illinois. Novak Construction served as General Contractor for three ground-up Chicago Public Library projects. Brainerd Branch, located in South Chicago, included the demolition of two existing buildings and two months of soil contaminant removal. There was site-work that included a reading garden, parking lot, concrete walks, lighting, iron fencing, landscaping and clock tower on this 17,000 square foot parcel. The distinctive building is 7,200 square feet of steel frame and masonry construction. Interior work encompassed drywall partitions and ceilings, terrazzo, carpet, and VCT flooring, all MEPFP systems and installation of owner-supplied millwork. Two additional projects were located in the Rogers Park and Lakeview neighborhoods. These ground-up 2-story buildings were constructed of masonry and brick. They included an elevator, mechanical penthouse, energy management system, a 16-space parking lot and site work.